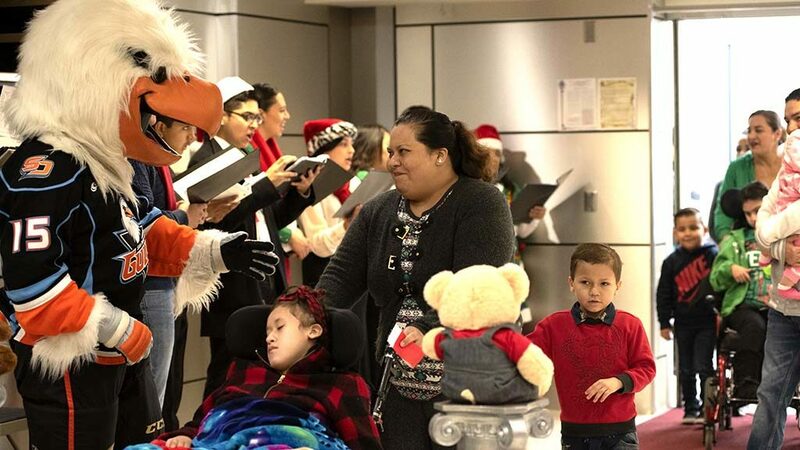 Isaiah Galindo of Barrio Logan reminisced Friday about receiving donated toys at Christmas. 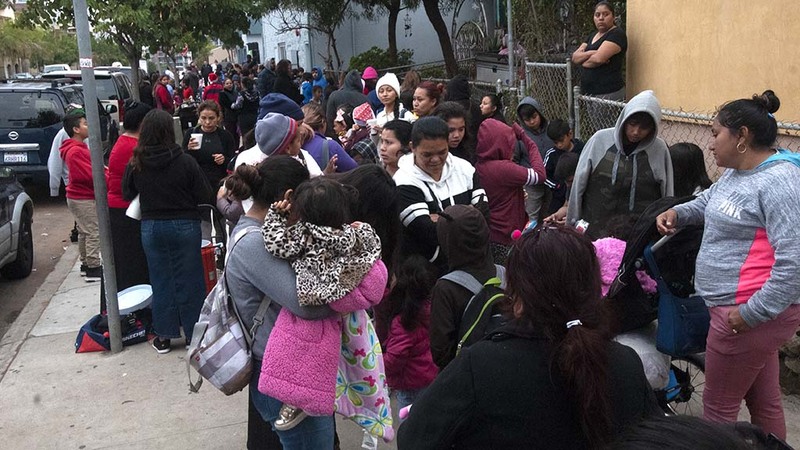 Now the father of three huddled in a cool morning queue and watched as hundreds received theirs. 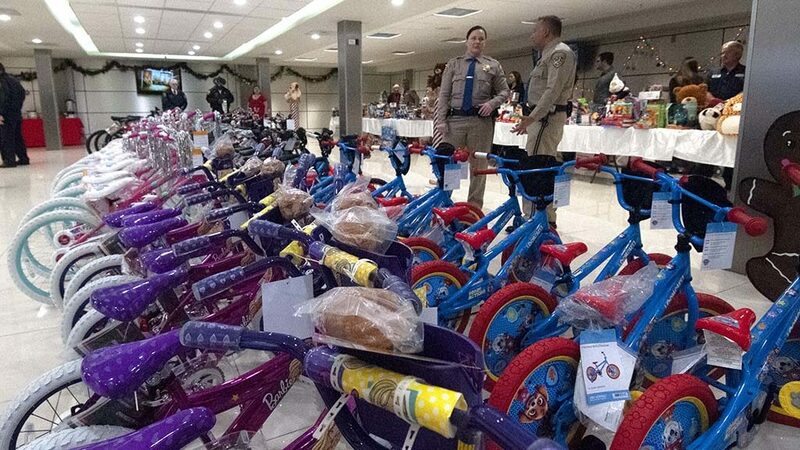 Compliments of the California Highway Patrol and The Light of the World Church, bikes and assorted other gifts lit up faces of 500 children. Jack Freeman, church director of public relations, said the neighborhood has a lot of poverty, so the church likes to give back. 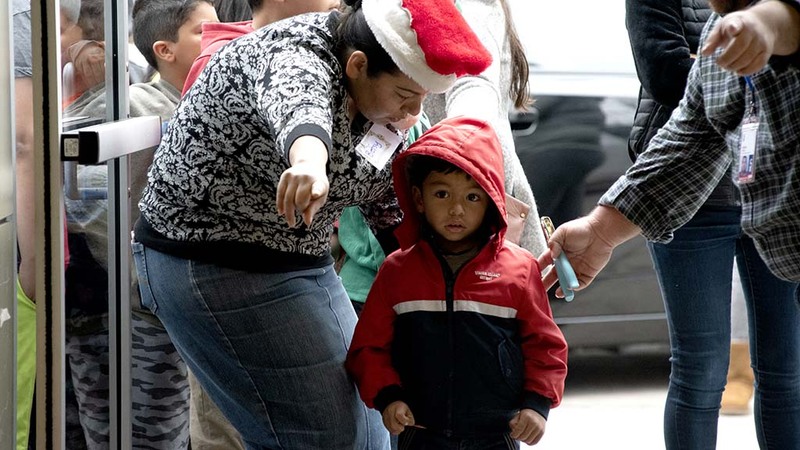 Parents and children had stood in line for more than an hour before Santa (Bill Swank) and Mrs. Claus (Kim Austin) showed up in CHP cruisers and vans carrying boxes and bags of toys. 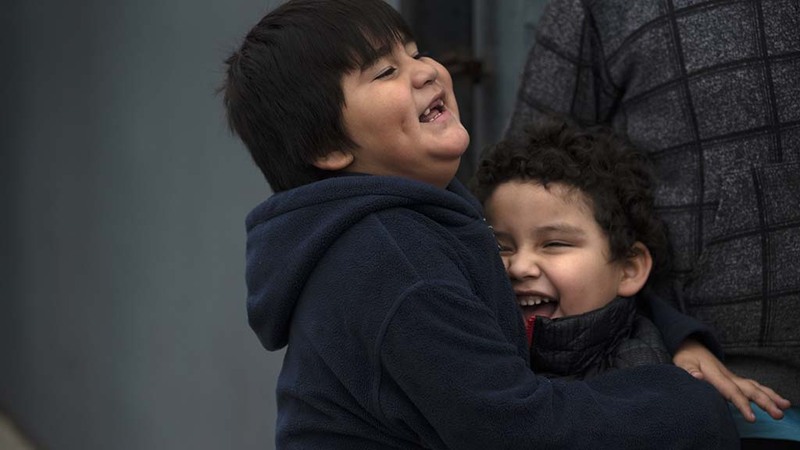 They cheered the arrival. 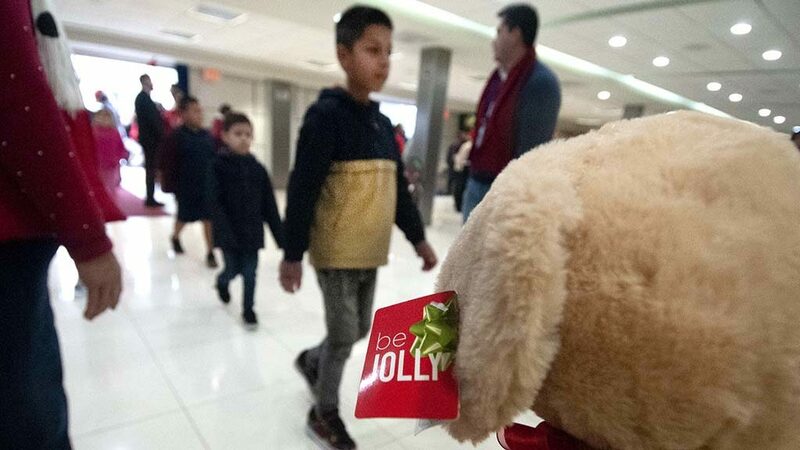 Small groups of children entered the church room and chose a couple of gifts. Bikes, provided through a donation from State Farm Insurance, were quickly grabbed. 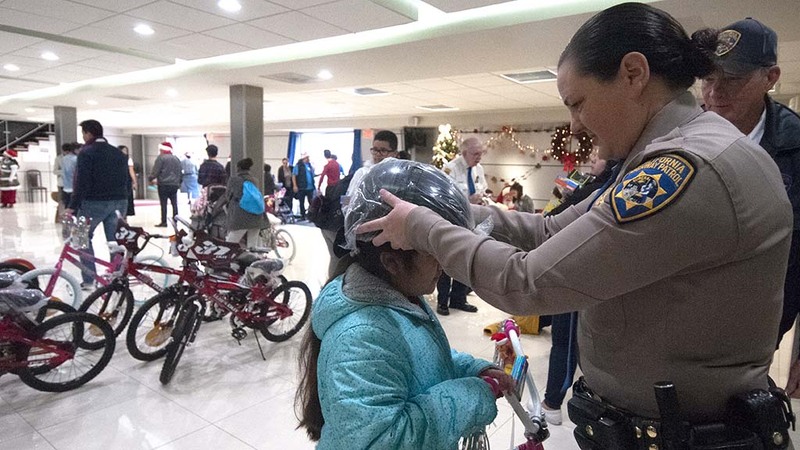 The CHP fitted and gave out helmets for kids choosing bikes. 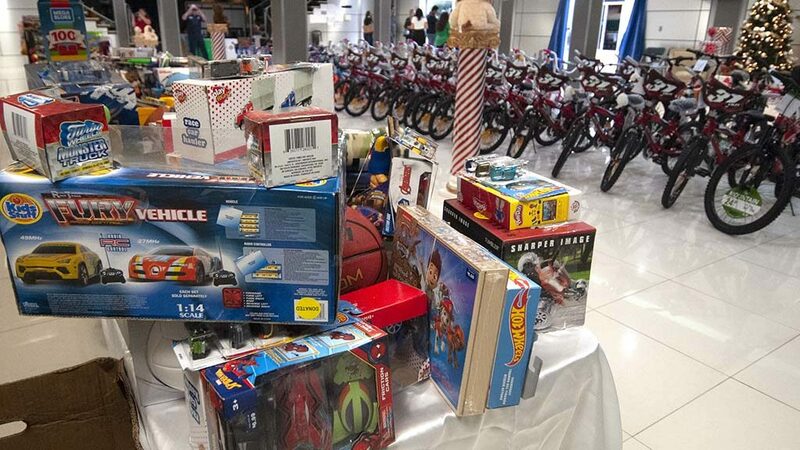 Toys stacked on tables included trucks, radio-controlled cars, dolls, soccer balls, superheroes, stuffed animals and games. 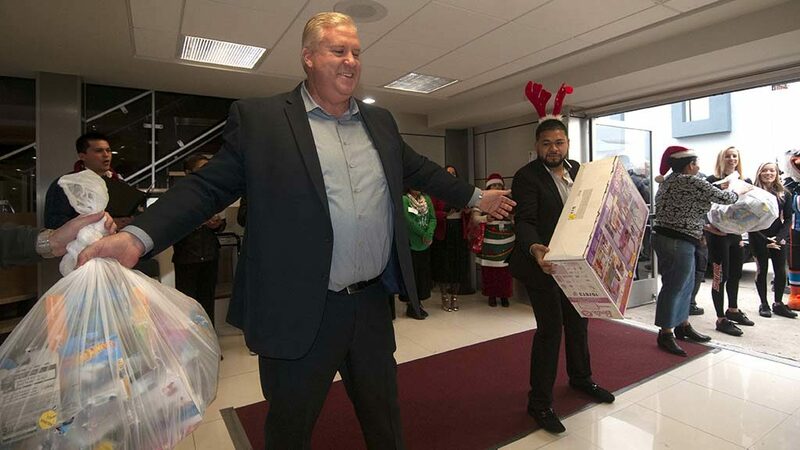 What started as a an act of kindness when Los Angeles CHP officers bought Christmas presents for children hospitalized after a traffic collision, the CHiPs for Kids Program has gathered an abundance of toys for children, said Highway Patrol spokesman Ray Payton. 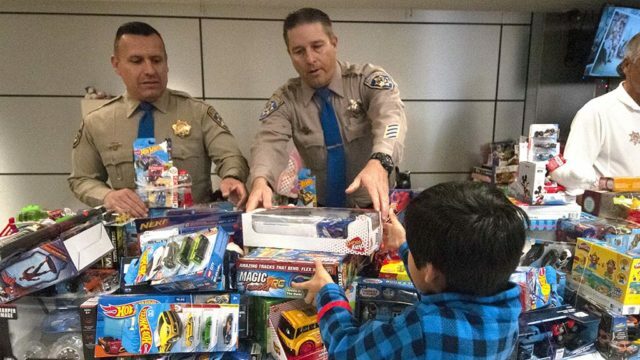 Payton said the CHP wants to help other groups distribute toy donations and urged them to contact the CHP at 1-858-650-3600 to coordinate for next year. 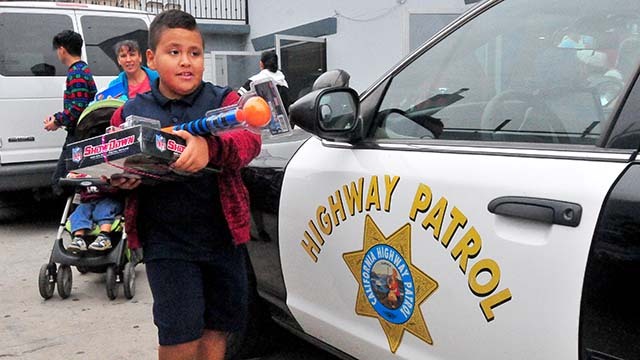 CHP launched CHiPs for Kids as a community outreach program in 1988 to build positive relationships with children in the communities the agency serves. 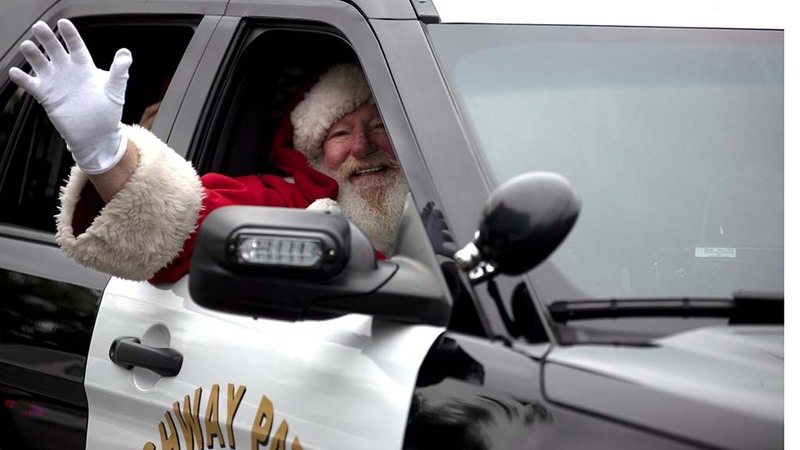 According to the law enforcement agency, the program is also a way to educate the public on the dangers of drunken driving, distracted driving and not wearing a seat belt. 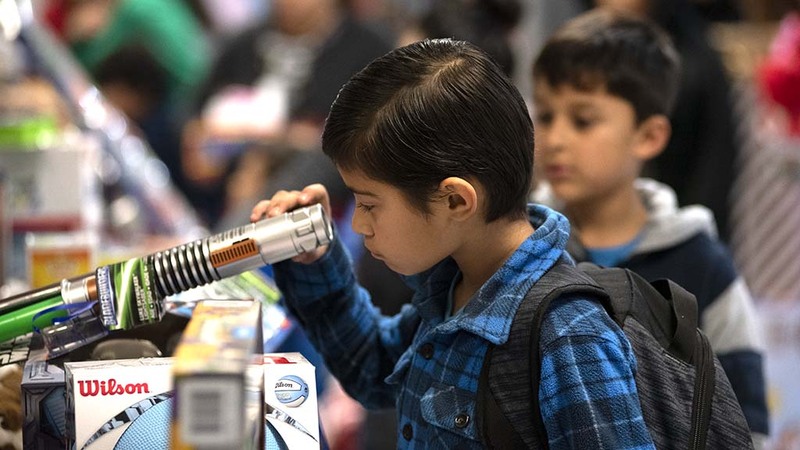 CHiPs for Kids, in its 30th year, has been under way in San Diego for six years. 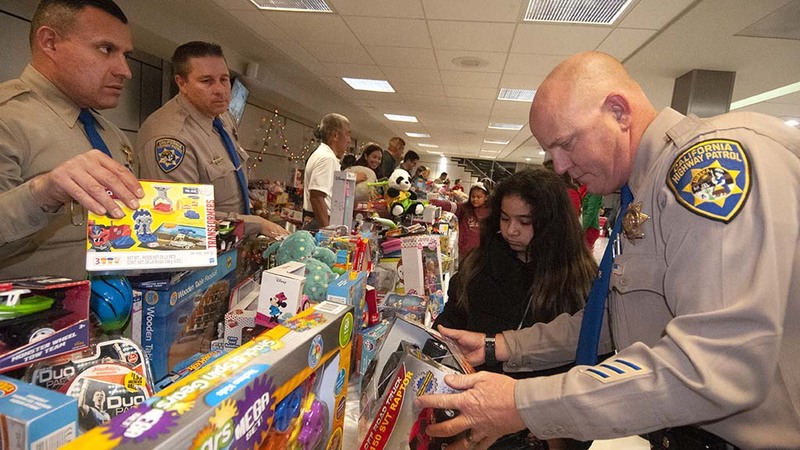 CHP officers collected toys throughout December with help from Walgreens, Waste Management, State Farm Insurance, Perry Infinity of Escondido and Caliber Collision Centers. 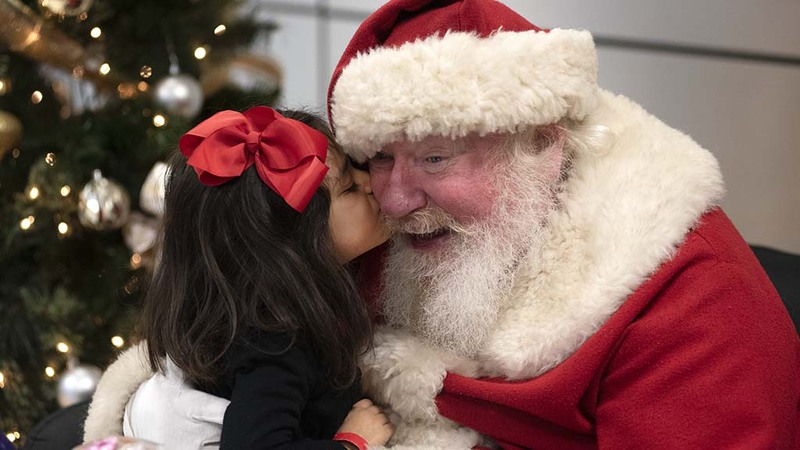 In past years, collected toys for poor children in San Diego have surpassed 1,000.